Lead is a bluish-grey metal with a face centered cubic lattice form. Designated in the periodic the periodic table as Pb, refers to the VI period, the atomic number 82. Chemists klassificeret this metal as a fusible, malleable. He has a high level of plasticity, easy to deform and melt. The melting temperature is only 327,4°C. the boiling point of 1740 °C. it Has a fairly low thermal conductivity. The surface of lead covered with an oxide film, which performs a protective function, protecting the metal from the possible negative effects of the environment. In nature, lead is found mainly in intermetallic compounds and alloys with other chemical elements. Today lead price in the world market in the range of 1.5.e. per kg, is produced in large quantities on the territory of the EU countries, USA, China and Korea. In the modern industrial sector, it is customary to use alloys of lead, which are divided into high-alloyed and low-alloyed compounds. High-alloy compounds are alloys of lead with various special additives. Are used to enhance antifriction properties, the strengthening of the metal to impact from the outside, lowering the melting temperature and shrinkage during the melting process. Low-alloy alloys of lead are connections of metals with copper, cadmium, antimony, Nickel or tin. These alloys increase the corrosion resistant qualities of lead in conditions of acid environment of inorganic nature and in an environment with high humidity. Copper and antimony, used for alloying, make it possible to use these alloys for the manufacture of building materials: pipes, fittings, sheets. Connection with the use of tin allow the manufacturing of power and low voltage cables. This is a complex process, which is virtually impossible at home. Because casting provides the premise of liquid lead in a special form under certain temperature conditions, it is produced under a certain pressure on the production. It is known that casting is widely used for the manufacture of shot, bullets, batteries, fishing sinkers and lures. In the construction of the actively used lead sheet used as a material for roofing of buildings. Traditionally, lead sheets can be used for fastening furnace or chimney. Also lead sheets are used in the equipment of x-ray rooms. If you decide to do repair private house, it is best to buy for the overlap of the roofing lead sheets. Lead is very plastic, but not strong enough. In alloy with other metals, its strength increases. Low melting point is used in soldering the pipe connections, the more that the price of base metals are economically advantageous for use in the industrial sector. 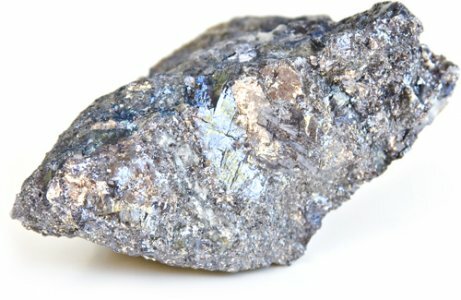 Despite the fact that this metal is considered toxic and can cause serious poisoning of the body, without it is difficult to do in everyday life. Due to the fact that the price of lead is relatively small, it is widely used in the production of fuels as antidetonator. The extensive use of lead helps to buy it easily on any specialized website. Since ancient times, lead was used for making own print on its surface easy to apply prints. Now this material has been successfully used to create seals used in typo safes, rooms, boxcars. This files most often lead today is used in construction, chemical industry, everyday life, military. Lead is widely used in the production of automotive starter batteries, due to its physical properties and low cost, Many are wondering how to use lead ingots. Self-use of such a lead has not, but is widely used as a raw material for further production of semi-finished products. Lead sheets can be used for veneer doors, which will make the door bulletproof. In the military lead sheets used for covering cars or making bibs for diving suits, plating of submarines. Batteries, broken, disposed of in accordance with established sanitary and hygienic standards. Best to take a scrap of lead, including used batteries, in special areas. Scrap prices usually depend on the amount, type, degree of clogging of the lead. Scrap cable lead, prices will be lower is accepted only in the case if the material is clean. Scrap melted lead is accepted, provided that it has no foreign inclusions, while the prices vary quite widely. A scrap of typographic fonts made of lead, the most highly paid, because prices significantly exceed the price for the batteries or loads. Often lead to buy ingots or sheet form, it is the most practical form of delivery. Buy lead will not be difficult if you have access to Internet resources. Any online store has a catalog that contains various types of products that can be purchased, the lead will have a corresponding certificate of quality. The company «Electrocentury-steel» implements alloys non-ferrous metals, in particular lead rental on the most favorable terms. Popular products from lead due to the huge variety and excellent product quality, low cost. Our offices are located in Russia and Ukraine. You can make a purchase without leaving the office, for example, on the Internet through the website of the Company. High quality, affordable prices and a wide range of products define the face of our company. Becoming our regular customer, You will be able to rely on the system of discount discount. Cooperation with us will help You to implement any engineering plans. Waiting for Your orders on the website evek.org.